CodeSchool is a great site for introductory programming courses. With all guides and practice exercises available right within the browser, it is a hassle-free way to start learning. The design of the site is also very pleasing which enhances the overall experience. 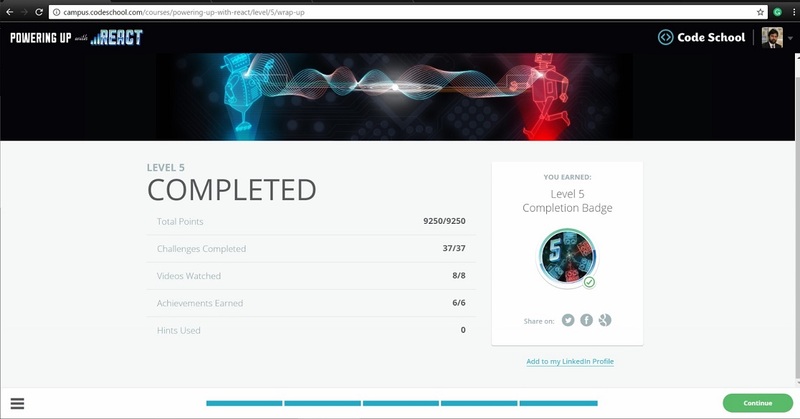 Recently, CodeSchool offered a free weekend pass to all their content. 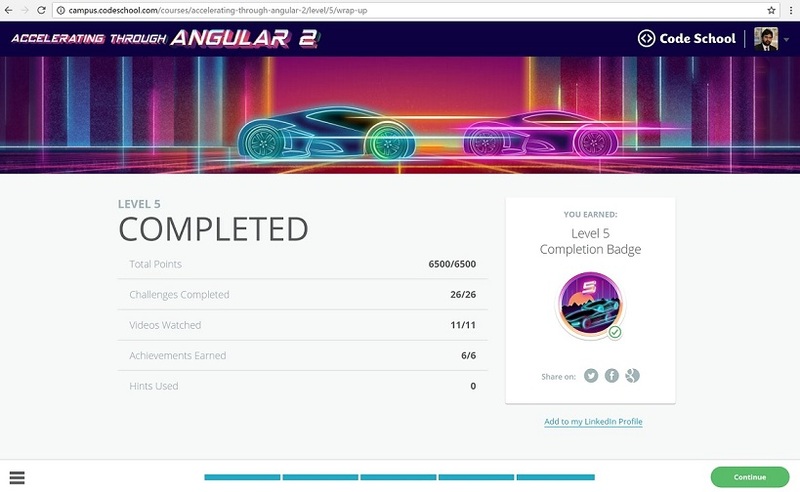 I took the opportunity to brush up my skills on the new version of Angular and also quickly went through the React course.